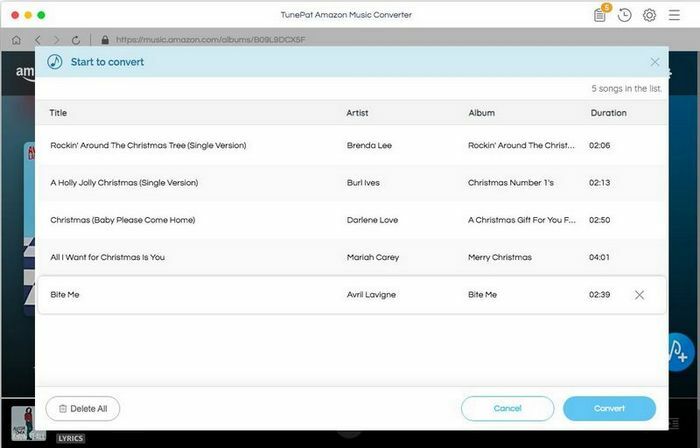 TunePat Amazon Music Converter is designed specifically for Amazon music unlimited users to download any album, artist or playlists from Amazon Music Unlimted & Prime Music to plain MP3, AAC, FLAC or WAV format with 100% original sound quality kept. 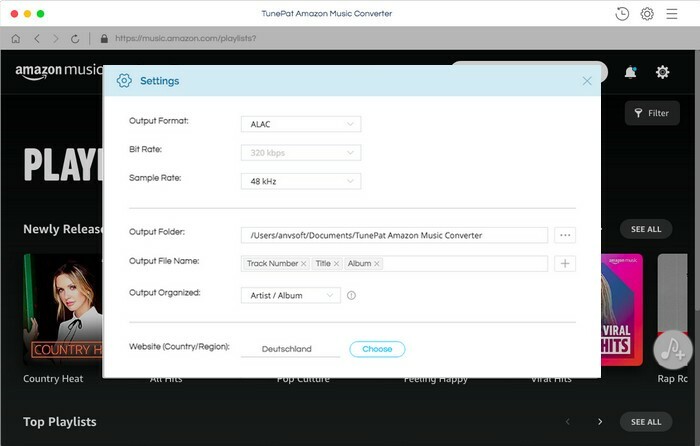 And you can follow tutorial below to learn how to use TunePat Amazon Music Converter on Mac. TunePat allows you downloading the program to have a try before purchasing. But the free trial version can only convert 3 music files at a time and convert the first 3 minutes of each audio. To unlock the time limitation, you need to register the program. 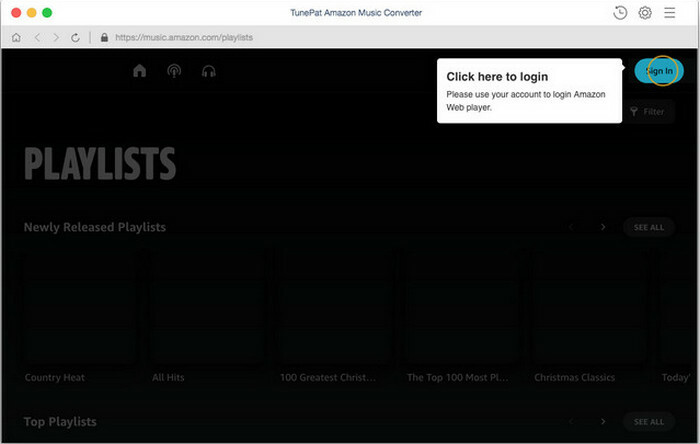 Step 1Click on the "Menu" bar and click TunePat Amazon Music Converter. Choose "Register" in the drop-down list, then you will get the register window as below. Step 2 Then copy and paste the registration Email and Code into the registration popup Window. Note: The registration information is case sensitive. And, please do not add blank at the beginning or the end of the word. 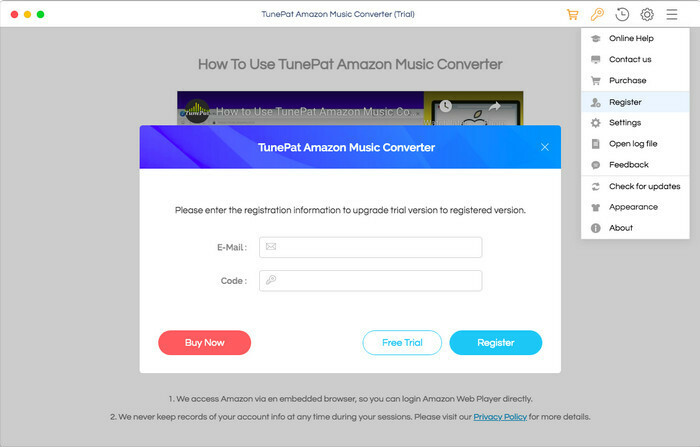 Step 1 Run TunePat Amazon Music Converter on Mac, then log in your Amazon Music account. Please note that TunePat will not take any information out of your account. Step 2 Click on the button on the bottom right corner to choose the Output Format (MP3/AAC/FLAC/WAV), the Output Quality (256kbps, 192kbps, 128kbps) and Output Path as required. Note: If you choose "Auto" as the output format, Tunepat Amazon Music Converter will convert music at faster speed. For better organizing your music library, you can save the output Amazon audio files into organized folder like Artist, Album, Artist/Album, or Album/Artist. Step 3 Open a playlist, artist or album, then click on the Add button on the bottom and select the songs that you'd like to convert. 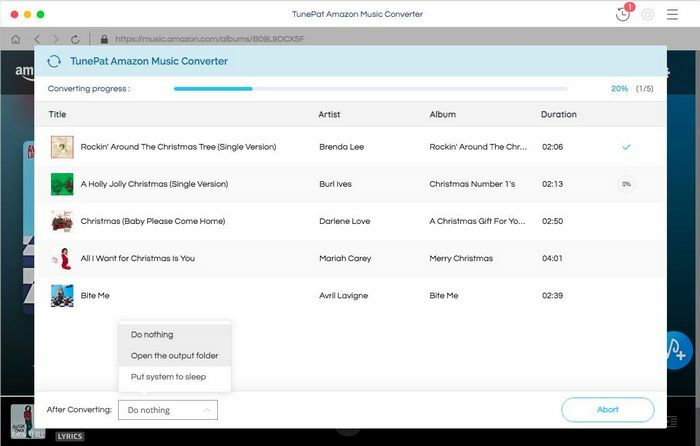 Step 4 Click on "Convert" button to start converting the Amazon music to the output format you selected. Step 5 After the conversion completed, you can click on to find the well converted Amazon music. Copyright © 2019 TunePat Inc. All Rights Reserved.